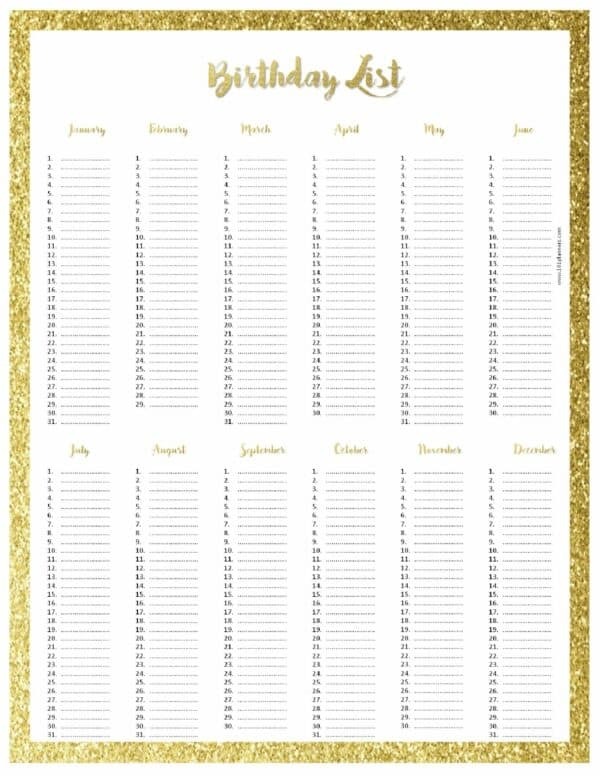 This monthly birthday list template will help you keep track of birthdays, anniversaries and other important dates. I recently lost my phone and the backup that I had kept did not work for some reason. I was so happy that I had a hard copy of a birthday list. Don’t be caught unprepared! 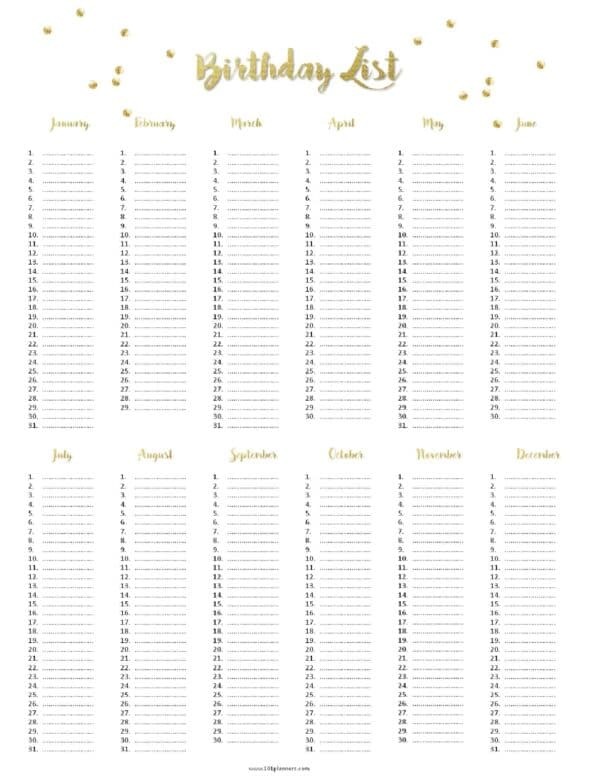 This perpetual birthday calendar doesn’t need to be updated so it can last for years. 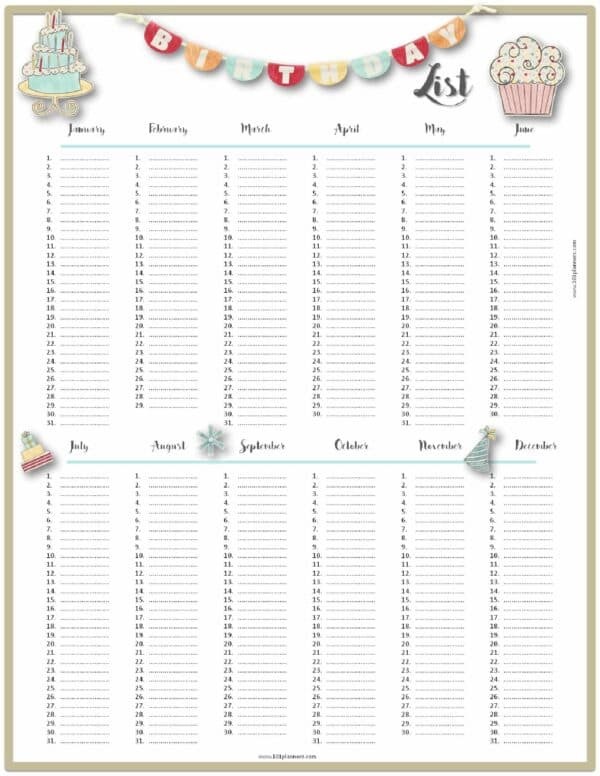 We also have a birthday calendar template if you don’t want a list format. If you want to type the text then click on customize. Then click on the “A” (add text) button. Drag the text to the correct date. You can also make the text bigger or smaller and change the font. 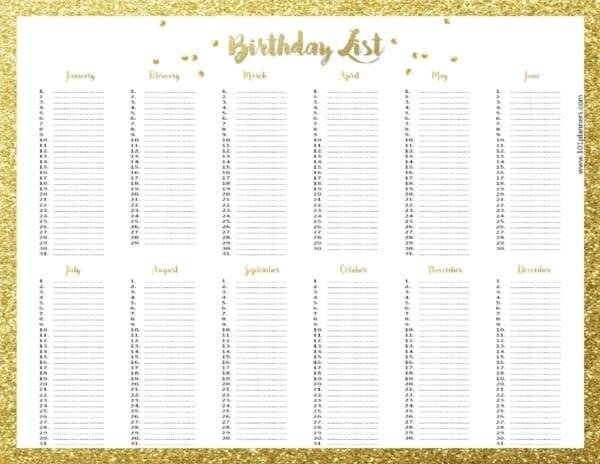 Tip: Use this to create an employee birthday list template so that you can recognize your employee’s birthdays. It can either be used by management only or hung up somewhere public so that colleagues can also be aware or all approaching birthdays.